Here we are, the first week of the All Australian Not Back To School Blog Hop, I hope you will join us in the fun! When I looked back on the last time I did a 'meet the students' post, what a shock I got! The changes have been incredible. The growth out of this world. I can safely say that my days of toddlers and Bambino Academy are over. Bittersweet recognising this, that's for sure, but looking forward to what lays ahead for us. 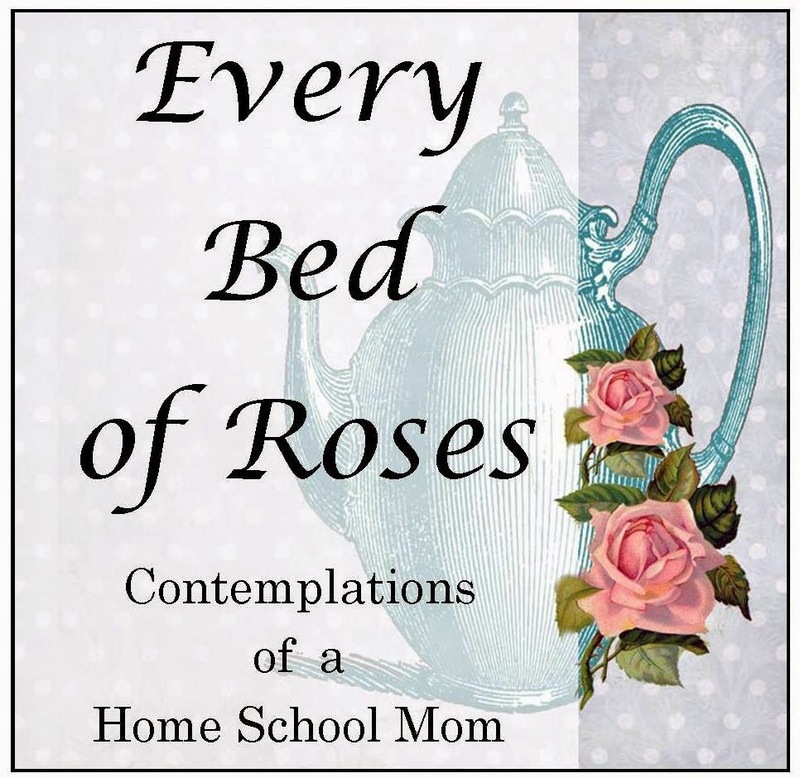 My online blog friend and fellow Australian Homeschooling Mum is joining with me this round in hosting the Blog Hop, be sure to jump over there and say hi to Chareen at Every Bed of Roses, she is a wealth of knowledge and has so much information on her blog to share with you all. So without further ado, let me introduce to you my tribe. DS, 13. This is his first year of high school and we suddenly feel as though things are now starting to get serious. I'm trying hard to find a balance of that and still find the fun and joy in learning. Neither of us want the high school years to be days filled with nothing much else other than book work! He might as well go to school to do that. Whilst he is still my same loving, caring, sensitive boy, we have definitely had our share of teenage hormones, which has brought the full gammut of emotions for him. Thankfully he is a pretty even keeled kind of person so none of these last very long. This year he has chosen to let go of dancing, which he has enjoyed for quite a few years. He has instead started with our local Emergency Services Cadets, which he thoroughly enjoys and has taken to Gymnastics with gusto. He will also continue with our local Drama group. Our main focus this year is moving forward with more independent learning, tackling topics and subjects on his own, with his own focus and outcomes. It's very early days with that one but baby steps will get us there. DD, 10 again, growing like a weed as they say. I mean who says that, how can anyone be growing like a weed hahaha Many things are beginning to fall into place for this beautiful girl and I can already see that 2015 will be a year of many achievements for her. She is very eager to head back to the Gymnastics hall after taking a break at the end of last year. She is also very keen to have a go at Surfing, we have our camp coming up shortly so fingers crossed she gets to have a go then and we may look at some surfing lessons next summer. Recently she has been drawn to sketching, her self taught skills improve with every single piece and truly she is still very much in love with anything to do with art and craft. I adore that about her as she keeps us continually pulling out the supplies and exercising our creative side. DS 6, wow the last time we did this he was still but a little curly haired toddler. Oh I do miss those days I truly do, but thankfully this guy is still a very cuddly kid that loves his mumma dearly so I don't miss out on all of that little kid goodness. He is never left behind by his two older siblings, there is nothing that they do that he can't or at least he will try and I think because of that in so many ways he is so much older than his true age. He's the kid that spent the entire Christmas holidays begging me to start reading lessons with him, seriously who do does that!! His personality is simply that of, if he wants to do something he will do it, no matter what and as long as I can do my best to help him keep that attitude in tact then he will always do well in whatever it is he chooses. He also love Gymnastics and adores to dance but is hesitant to try dance classes, he is going to try the drama group that his brother and sister attend so will just have to wait and see if that is for him or not. Oh I should mention that we took a recent trip to Ballarat and these photo's were taken at Kryal Castle, if you are ever in the area be sure to visit, we really enjoyed our day there. So now it's your turn. Simply write a post introducing your cherubs to us and add your blog link (the direct link to the post please) to the list below. Oh and be sure to grab the NBTS button for your blog! Don't have a blog? We'd love for you to join in over on our facebook page. Just check this link for the Meet The Students thread and you can share some of your lovely pics over there. Don't forget to visit the other blogs listed and get to know them and their students a little better. Kylie, loved catching a glimpse of your not so little ones anymore. Drama and dance and gym are obviously popular there. I love that about how many in a family become keen in an area and then share.